A vacation or business trip can end up going by faster than you think it will. You can relax on the couch watching television at your home, so turn it off while on vacation. You should plan on getting out and making some memories. There are many hotels in Washington DC near fun attractions. You can enjoy exploring and learning all about this historical city. You want to find out as much about a city as you can before you get there. You should plan out at least one exciting landmark that you want to visit and find out what other attractions are located nearby. When it comes to the local cuisine, look up restaurant reviews and see what other people have to say about nearby eateries. You can also ask the locals where they eat once you arrive in Washington. If your boss is going to reimburse you for your travel expenses, be sure to keep your receipts in one place. If you are your own boss, be sure to save receipts for tax purposes. You can have a good time in this area, but be sure to get receipts for everything and put them in a safe place. When you are traveling, you will be facing new opportunities at every turn. You should be ready to try something new every day of your trip. If you have never been to a play, go to one. There are many museums, historical monuments, and more that you can enjoy visiting too. Your trip should be about having plenty of new experiences and having an overall great time. The early morning hours are very valuable. They are often the best times to visit tourist attractions because many people will still be sleeping, and you can use your morning energy and stamina to have a day full of fun. You can avoid many long lines by getting to attractions before the crowds so that you can enjoy yourself without feeling rushed. If you can buy tickets before you get to a place, do so. Many museums and attractions offer online ticket sales, so you can buy them online and avoid standing in the ticket line once you arrive. This will help you to have more time to enjoy yourself at the attraction. You will be able to smile and walk by everyone else trying to purchase a ticket. You want to make sure that you budget your money to suit your needs. If there is one attraction you just have to see, be sure that you set money aside for it. There are many ways to save money on your trip by doing only what you really want to do. If eating out at a nice restaurant is important to you because you enjoy good food or just want to try some new cuisine, go for it. 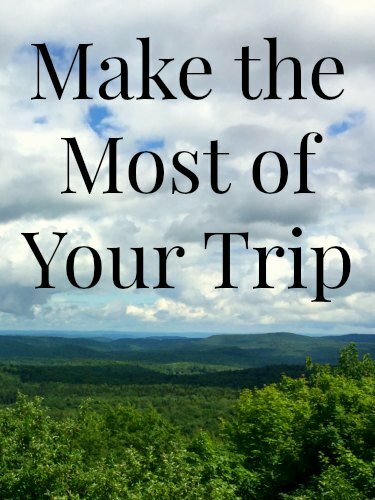 You should budget money for the areas of your trip that really excite you so that you can make the most out of every moment.